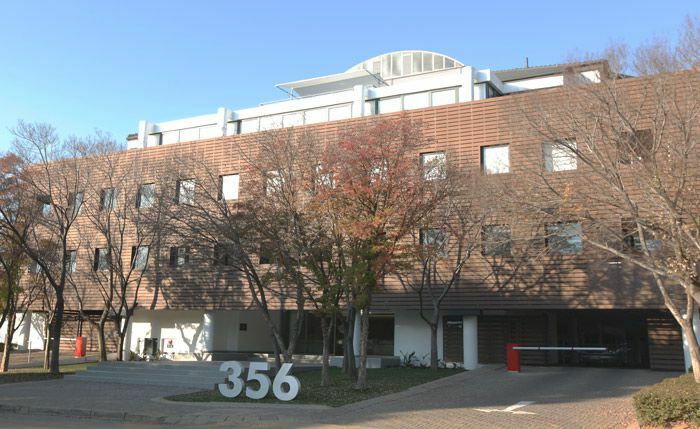 356 Rivonia Boulevard is a large-scale commercial redevelopment of a 6,000sqm office building. Building will be clad in composite timber planks (real wood does not perform well in the dry Highveld climate). 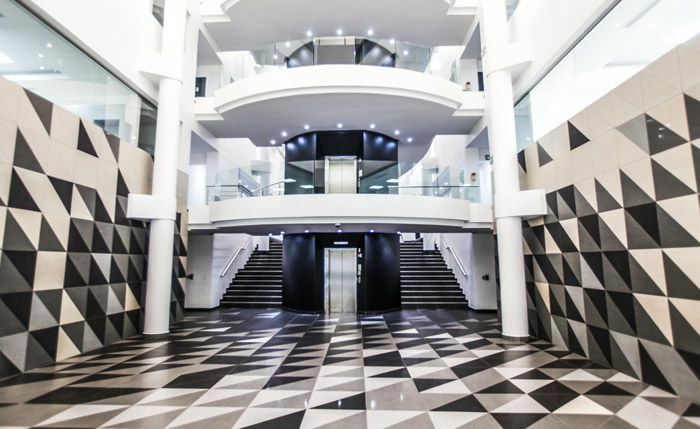 In the atrium lobby the triangle cut porcelain tiles will be laid in a snake-skin pattern. 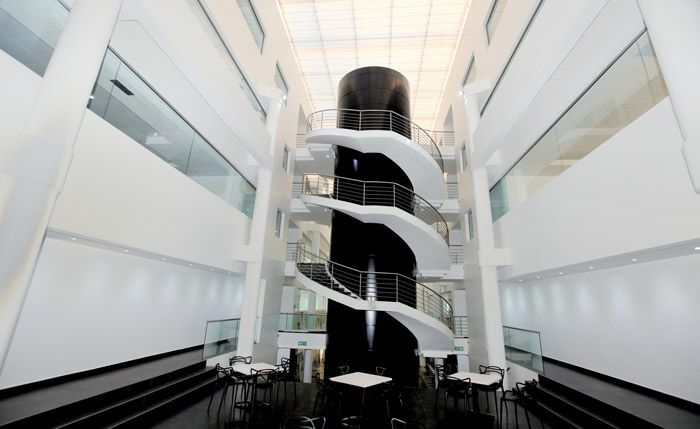 To help control temperatures in the four storey atrium we are adding a Lexan polycarbonate ceiling beneath the existing vaulted skylight, this will have a randomized pattern of clear and grey to create a dappled sunlight effect. Completion expected March 2014.